I was praying and it came to me that Lent is a sort of sea of God’s mercy. In my imagination Lent was warm and quiet and inviting for us to swim in. If we did swim in it, we would be not only refreshed but cleansed, for God’s mercy cleanses as nothing else does. Then I thought of our reticence. I don’t know if it is reticence or fear to really plunge into God’s mercy. We really want to be washed clean; we want to be forgiven. But these desires meet with something else inside. I say to myself that if I do enter into the sea of mercy I will be healed, and then I will be bound to practice what Christ preaches, his law of love, which is painful, so terribly painful. There by that sea I stand and think: If I seek mercy I have to dish out mercy; I have to be merciful to others. What does it mean to be merciful to others? It means to open my own heart, like a little sea, for people to swim in. If we stand before God’s mercy and drink of it, it will mean that the Our Father is a reality, and not just a prayer that I say. “Our Father who art in heaven, hallowed be thy name. Thy kingdom come…” We like that part and have no problem saying it. But then we come to: “Thy will be done on earth as it is in heaven…. Forgive us our trespasses as we forgive those who trespass against us.” We shake our heads and say, “Yes, it’s Lent; it’s true we should be forgiving everybody.” But we don’t like trespassers. If strangers come to use our beaches we will say to ourselves: What are they doing here? Why do they come to our beach? It’s not easy to make of one’s heart a little sea of mercy for the other. We should also be listening to God’s will. But we think: Wait a second! “Thy will.” What does that mean? It means many things. For instance somebody is thinking of entering a convent and they say, “Well, I don’t know; I’m afraid. Maybe I won’t measure up.” Silly people! Of course they won’t measure up, but God will measure up for them. If he calls them, he’ll give them the grace. As we look at the will of God—to go to a convent or to marry or to just live in the world in the conditions of today, to submit oneself to somebody else—our hackles rise up against authority. To submit to the will of God would be to put our toe in the sea of God’s mercy. Lent relentlessly moves on and shows us who we are—our true identity as Christians, what it means to be Christian. The mercy that we must give to others includes that of standing up for the poor, the lonely, those who have no education and cannot stand up for themselves. It means to engage in what we call social justice on behalf of our sister and brother. That involves opening ourselves to being pushed around and crucified. This always happens to those who stand up for others. Do we want to go into the sea of God’s mercy, to be washed clean so that we begin to do the things of Christ? What is this Lent all about? It is to go into some strange and incredible depths of ourself and there to meet the sea of God’s mercy and swim in it, having shed all garments, garments of selfishness and fear. Take for instance the fear of ridicule. Christ said to St. Francis, “I want you to be the greatest fool that anyone ever saw.” Did you ever stop to think what an absolute foolishness Christ is? It borders on idiocy, not mental idiocy, but a sort of passionate foolishness. Just think of a human being letting himself be crucified for someone else—in this case for the world. How high can the foolishness of love go? How deep, how wide? That’s the foolishness he wants us to assume. There was a little Franciscan brother, Juniper, who used to play see-saw with children; people thought it funny for a man to do that. He did it specifically so that people would ridicule him. Lots of saints went about being ridiculed. The Russian urodivoi—fools for Christ—loved to open themselves to ridicule. They wanted to play the fool to atone for those who call Christ a fool. Lent is here to remind us that the mercy of God is ours, provided we embrace his law of love; provided we realize that it’s going to hurt, and hurt plenty, but that the very hurting will be a healing. That is the paradox of God, that while you hurt, you heal. That’s true healing. The sea of his mercy is open before us. Lent definitely and inexorably leads us to it and makes us think about what it takes to swim in it. Lent also reminds us that each of our hearts can be a sea of mercy and forgiveness to others. This is a very great shortcut to God’s heart. The Pass It On! articles are free to use under the terms of a Creative Commons License. What Did the Pope Actually Say? Vatican City, Feb 18, 2016 / 02:06 pm (CNA/EWTN News).- Despite a rush of headlines claiming Pope Francis is softening the Church’s stance on contraception, a closer look at his recent remarks could suggest otherwise. During an in-flight press conference on his way back from Mexico, Pope Francis was asked by a reporter about the threat of Zika virus in many Latin American countries. Noting that the virus may be linked to birth defects when transmitted from a pregnant woman to her unborn baby, the reporter asked the Holy Father about proposals involving “abortion, or else avoiding pregnancy” in areas where Zika virus is prevalent. The Pope responded by emphatically stating that abortion is “a crime” and “absolute evil” that cannot be justified. He also spoke on the topic of avoiding pregnancy. Numerous news outlets suggested that the Pope was introducing a change – or at least a softening – in previous teaching. However, Dr. Melissa Moschella, a philosophy professor at The Catholic University of America, suggested that this may not be the case. When talking about avoiding pregnancy in connection with the Zika virus, the Pope may not necessarily have been implying artificial contraceptive use, but may have been referencing Natural Family Planning, she said. Normally, if a married couple faces a serious reason to avoid pregnancy, the Church teaches that they may do so through Natural Family Planning, a process that involves identifying a woman’s fertile periods and abstaining from sexual activity during those times. Since this is Valentine’s Day, today’s post is an excerpt of James and my courtship story (which was the basis for my first novel, Emily’s Hope) and which is included in Come My Beloved. This is an excerpt of our courtship story. The full version is included in Full Quiver’s book: Come My Beloved: Inspiring Stories of Catholic Courtship. (It’s currently FREE on Kindle!!) 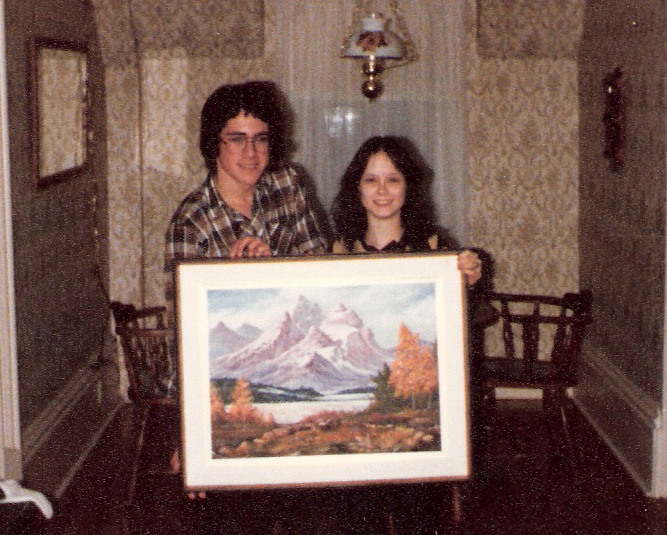 Our story has also been fictionalized in my novel, Emily’s Hope. 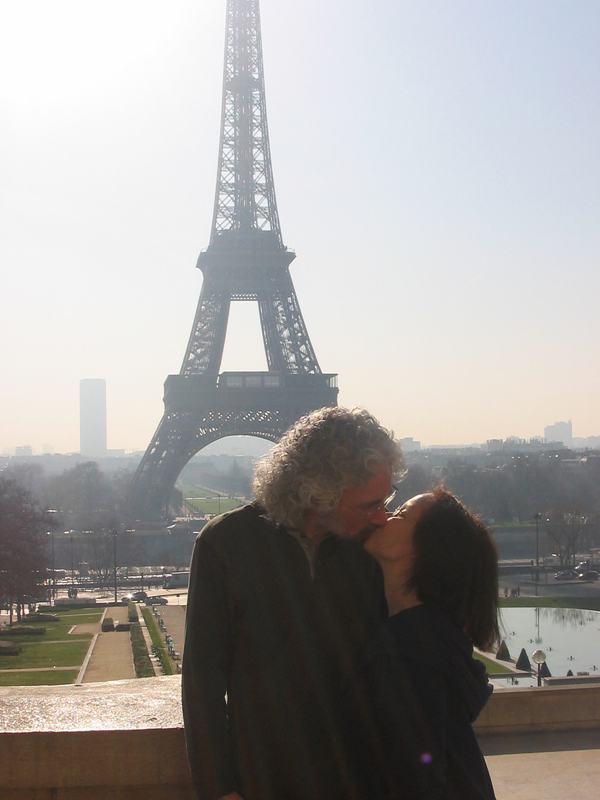 This is our 37th Valentine’s Day together! Happy Valentine’s Day to my true love! 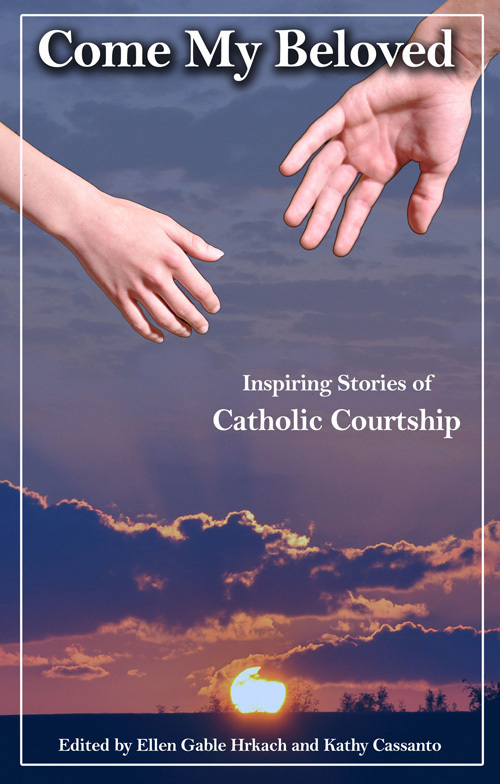 “Come My Beloved: Inspiring Stories of Catholic Courtship” is a wonderful book with 12 stories that will inspire, captivate and entertain readers. Check out the book website here. To download a FREE KINDLE COPY over at Amazon, click here at this link. We agreed that the easiest and fastest way to gather the stories was to interview the couples, transcribe the interviews and edit the stories. Most of the stories in this book were from recorded conversations, then transcribed and edited, although some were written by the couples themselves. As we interviewed each couple, a clear picture was emerging: that true love was far different from the infatuation which is so often portrayed in movies and books. Each of these courtship/dating stories has its own theme, but all of them illustrate that God is the ideal matchmaker. The stories are uplifting, inspirational, funny, hopeful, romantic. The Kindle edition of this book is FREE today through February 15th over at Amazon.com. When you hear the word “fasting,” do you automatically cringe? Do you dread Ash Wednesday or Good Friday? Or do you embrace the self-denial of fasting on those days? If you’re like most people, you might not look forward to Ash Wednesday or Good Friday, the Church’s compulsory days of fasting. However, when you become accustomed to the regular practice of fasting throughout the year, these “compulsory” days are opportunities for abundant graces and spiritual growth. Many people mistakenly believe that fasting belongs only in the Penitential Season of Lent. However, the regular self-denial of fasting is a positive and generous act that we can do all year round. After all, Jesus fasted — and He fasted before every major event in His life — and His apostles fasted. In Scripture, fasting is mentioned numerous times in both the Old Testament and the New Testament. Eternal life…isn’t that our goal? How do we get there? A virtuous life, one that is sacrificial, one that is obedient to God’s laws, this is the way to eternal life. Lent is an ideal time to embrace the practice of fasting. And not just on Ash Wednesday and Good Friday! Fasting can happen on every Wednesday and Friday throughout the year. The regular self-denial of fasting is definitely one of the ways to get to heaven and eternal life. Why? There are so many great reasons to fast and Lent is an ideal time to begin this regular practice of self-denial. For the elderly and those who cannot fast from food, they can fast from TV, social networking, treats or coffee on Wednesday and Friday. Lent is a time for change and sacrifice. If you can do penitential acts during Lent, you can do them all year round! To get started with fasting, please check out the graphic below. And always check with your physician before beginning any fasting routine. For testimonies, prayers and more information about fasting, check out the Live the Fast website at www.livethefast.org or contact us at info@livethefast.org if you have any questions. My third novel, Stealing Jenny, will be FREE today (February 4) through Saturday (February 6) on Kindle. Jenny Callahan is happily expecting her sixth child. But it’s not without complications. To make matters worse, a neighbor is secretly hatching a sinister plot that will find Jenny and her unborn baby fighting for their lives. Or…the one sentence synopsis: Mentally unstable woman kidnaps pregnant mom of five. To download your Kindle copy for FREE, click here. The Catholic Writers’ Guild will hold its annual online conference for writers March 4-6. 2016. This faith-focused authors conference offers presentations covering all aspects of writing from finding your calling as a writer to publishing and marketing your books. There will also be online pitch sessions with noted Catholic publishers and secular publishers. Attendees must register by Feb 27 at http://www.anymeeting.com/PIID=EC51DE87844F3B. The conference will be held using webinar software, making the experience more personal and immediate. “We’ve had people asking for webinar formats in the past, but this is the first year we felt comfortable with the technology and the ability of our attendees to stream live presentations,” said organizer Karina Fabian. Fabian said the workshops offer terrific opportunities to ask in-depth questions and get feedback from knowledgeable instructors. This year’s sessions include an emphasis on the faith aspects of writing no matter what the genre. Speakers like Gary Zimak, author of Faith, Hope and Clarity; Joe Wetterling, President of the Catholic Writer’s Guild, horror author Jonathan Ryan and others will speak on writing as a calling, a literary revolution, and evangelization through fiction (Ellen Gable Hrkach). In addition, there are practical workshops including legal issues, techniques for characterization and plotting, how to journal, and time management. Pitch sessions give authors with finished books a chance to personally interest a publisher. Pitch sessions include well-known Catholic publishers like Servant Books, smaller presses like Liberty Island, and ebook publishers like eTreasures. “Every year, we hear back from an author who finished a book, started a project, or got a publishing contract thanks to the Catholic Writers’ Conference Online. Plus people make contacts and good friends. It’s a terrific opportunity, especially for those who can’t afford to attend a live conference,” Fabian said. This year’s conference is $40; $25 for members of the Catholic Writers’ Guild. To register or for more information, go to http://www.catholicwritersconference.com.